If you have the passion to do something different by venturing into food or beverages outlets in Singapore then, BrewBakes coffee shop master franchise the best opportunity for you. Food business is one of the best business to start with low budget and make more money with sufficient margins. If you have already taken the decision to open your coffee cafe shop in Singapore then, BrewBakes coffee shop master franchise opportunity is the best for you where you will get great franchise support with a solid business plan and comprehensive marketing strategy. Right from choosing the right location in Singapore for establishment of your coffee shop to hire the trained employees and giving them proper training, we provide you full franchise support. With us you can achieve your dreams of running your own business in Singapore. Why BrewBakes Coffee Shop Master Franchise in Singapore? Who not knows about this small but beautiful and fascinating island country, Singapore. With over 5.5 million, Singapore is one of the most crowded and populated countries in the world. Singapore is a tiny but prosperous island nation, both a city and a country. Currently Singapore is the only island-city country in the world. It is one of the best cities in the world. Despite its size the city boasts one of the higher per capita GDPs in the world. The city receives higher ranking for education, health care and quality of life. Here crime rates are very low and is a perfect city or country to live. Singapore is fast becoming the Asia’s hit-list destination as it is home to many endearing tourist destinations. It has many things to offer its tourists that attracts tourists from all around the globe and make it a must visit place in the world. One of the best things of being in Singapore is undoubtedly its food. It is a no secret that people of Singapore eat and drink with passion. From cheap hawker fare to five star fine dining, food in Singapore is taken very seriously. So, having a coffee shop in such a country where people eat and drink with passion would be the best decision for you. Running a coffee shop in Singapore will surely be a profitable venture for you. Singapore is well loved for its range of ethnic foods. Though it is a small country but the varieties of foods and traditional cuisines from all around the world is always an eye opener for the first time visitors in Singapore. From Chinese to Indian to French, Italian to Malay food and much more available in Singapore. The city or country is actually a paradise for the food lovers. The foodies would love to visit Singapore because of its infinite varieties of foods and beverages. The city is full of restaurants, coffee shops, hawker centers, supper places and much more. So, opening a coffee shop in Singapore will be one of the best decisions for everyone who wants to establish their own business in Singapore. Singapore is one of the best nations for doing business in fact, its pro business environment is capable of attracting sizable foreign investments and business entrepreneurs. The World Bank has also ranked Singapore in first position for the east of business and is the third wealthiest nation. So, Singapore is a perfect place to start a business. These are some of the major factors justifying the success of coffee shop master franchising business in Singapore. With BrewBakes coffee shop master franchise in Singapore you can maintain the coffee shop franchise chain in Singapore. We help you from selecting the right location to open your coffee shop and also hire the trained and professional employees. So, this is a great opportunity for all those people who want to start their own business in Singapore and make money with good profits and margins. One of the best reason for getting success in food business in singapore is because the multiple companies, firms, industries and educational institutions. The youngsters like students and young professionals have a deep connection in fact the students and coffee are the perfect date. They love to visit such coffee shops or restaurants where they can hangout with their friends and dear ones. So, they can be your potential customer. There are many universities, colleges and educational institutions and these locations are perfect for establishing food or coffee shop in Singapore. Some of the famous educational centres in Singapore are National University of Singapore, Nanyang Technological University, Singapore Management University, Singapore University of Technology and Design, Singapore Institute of Technology, Singapore University of Social Sciences. Coffee shop business in Singapore can be very successful for you. And with one of India’s leading and fastest growing coffee shop master franchise you can run your business without any hassles and enjoy great profits. BrewBakes is India’s leading coffee shop and food cafe chains. With more than hundreds operation coffee shops in 30+ cities in India we have now become the reputed brand name in the food industry. And now we are offering coffee shop and food business master franchise business opportunities in international markets also like in Mauritius, Indonesia, Nepal, Bangladesh, South Africa, Kenya, Thailand, Vietnam, Maldives, Philippines, and many other countries. 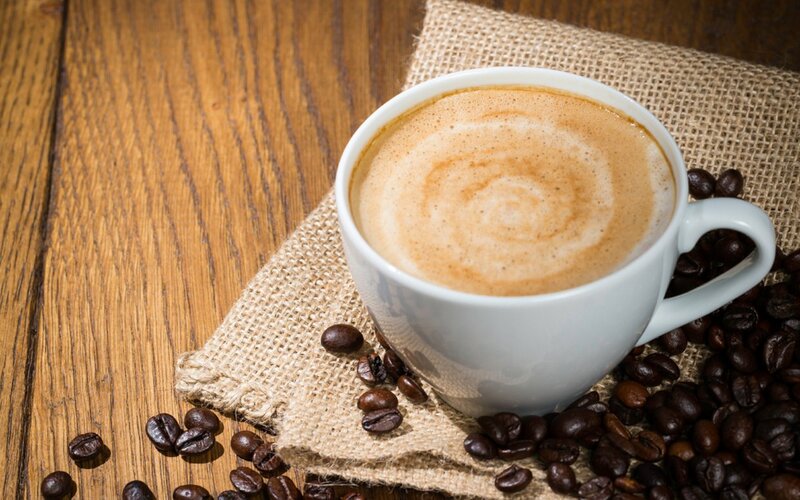 If you have desired of starting and running your own coffee shop in Singapore with low investment then, grab the coffee shop master franchise business opportunity offered by BrewBakes Cafe.